Valerian (Valeriana Officinalis) other names: All-Heal, Amantilla, Baldrian, Baldrianwurzel, Belgium Valerian, Common Valerian, Fragrant Valerian, Garden Heliotrope, Garden Valerian, Grande Valériane, Guérit Tout, Herbe à la Femme Meurtrie, Herbe aux Chats, Herbe aux Coupures, Herbe de Notre-Dame, Herbe de Saint-Georges, Herbe du Loup, Indian Valerian, Mexican Valerian, Pacific Valerian, Rhizome de Valériane, Tagar, Tagar-Ganthoda, Tagara, Valeriana, Valeriana angustifolia, Valeriana edulis, Valeriana jatamansii, Valeriana officinalis, Valeriana Pseudofficinalis, Valeriana Rhizome, Valeriana sitchensis, Valeriana wallichii, Valerianae Radix, Valeriane, Valériane, Valériane à Petites Feuilles, Valériane Africaine, Valériane Celtique, Valériane Commune, Valériane de Belgique, Valériane des Collines, Valériane Dioïque, Valériane du Jardin, Valériane Indienne, Valériane Mexicaine, Valériane Officinale, Valériane Sauvage. The common valerian, often also known as garden heliotrope, is a fragrant perennial plant that usually grows to a height of two to four feet. While valerian is found in abundance throughout Europe, in North America it was initially cultivated and now is even found along the roads and thickets in the region stretching from New England in the south to New Jersey and Ohio in the west. The rootstock of the plant is yellowish-brown and it produces a number of hollow, bony and grooved stalks. The stems bear leaves that are deeply divided into a number of segments and each of these leaves possess 7 to 10 pairs of leaflets that are prickly and shaped like lances. The valerian plants bear rounded clusters of pale pink blooms in early summer. Incidentally, when the valerian rootstock is dried and powdered, it produces a foul smell that reminds one of squalid underwear or unclean socks. In fact, the valerian rootstock encloses a number of elements that are responsible for its foul smell as well as potent tranquilizing features. The rootstock contains an element called butyl isovalerate which is utilized in preparing a synthetic, brewed egg product to lure coyotes and fend off deer. Another substance enclosed by the valerian rootstock - eremophilene - has also been found in a variety of ripened mangoes grown in Africa. An element found in the valerian rootstock called valepotriates causes potent sedative actions on the central nervous system. The primeval Greeks made use of valerian to cure digestive disorders like nausea and flatulence. In addition, they also used the valerian to treat urinary problems as well as to hasten the menstrual period in some women. In fact, over 1,800 years ago, the Greek physician Galen had first prescribed valerian for insomnia. Even during the Middle Ages, people continued to use the valerian to treat several conditions. Valerian was used as a diuretic, remedy for intestinal as well as menstrual pains and also applied externally to alleviate pain. These uses of the valerian continued till the 16th century. During the medieval period, the valerian was also used in culinary to add essence to soups and stews. During the 18th century, many European herbal medicine practitioners had already started using valerian for treating different types of nervous problems. All through the 1800s, herbalists used valerian particularly to heal ‘vapors' or mental depression among women with symptoms varying from ‘waves of heat and cold' to fright and horror. 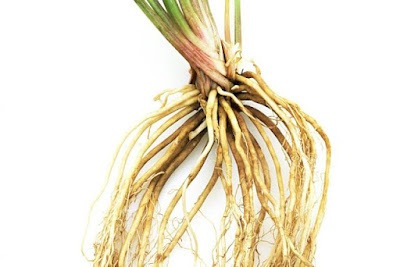 Basically, the rhizome or the tubular roots of valerian are used for therapeutic purposes. The roots of this herb are dug out during the end of September, as the essential oil enclosed by them is the highest at this time of the year. While the freshly dug out valerian roots do not smell awful, they emit a foul smell as they become dehydrated. Despite the fact that researchers have isolated several chemicals from the valerian root, they are yet to detect even one active ingredient in the valerian. Chemical analysis of the valerian roots has confirmed they enclose around two per cent of essential oil. This essential oil contains around 10 per cent to 21 per cent of valeranone and additional comparatively steady constituents. When the valerian roots are dried, they are found to enclose around 0.3 per cent to 0.9 per cent of valerenic acid as well as associated amalgams. In fact, scientists have identified and studied a class of chemicals known as valepotriates for their different actions. Among these chemicals, isovaltrate and valtrate appear to be most significant and often constitute about one per cent of the valerian plant. Basically, the root of valerian is therapeutically utilized as a gentle tranquilizer to smoothen restiveness and worries. The root of valerian is also used for the treatment of sleeplessness or insomnia. No less than two double-blinded researches have shown that an extract obtained from the herb is able to considerably lower the period of time taken by people to fall asleep provided their usual sleeping stages remain unchanged. In Europe, herbal medicine practitioners use valerian as an anti-spasmodic, especially to treat cramps in the abdomen owing to anxiety as well as for spasms in the uterine and menstrual disturbance. People enduring emotional stress or tension are also administered valerian in the same manner as any other anti-anxiety medication is prescribed for them. Some herbal medicine practitioners also use valerian to treat exhaustion or fatigue. In addition, the valerian has been often recommended for treating headaches induced by tension, bronchial spasms as well as persistent coughs. Many a times, herbalists have also used valerian as a part of a treatment program to help patients stop taking anti-depressants or benzodiazepines. In addition, at times the valerian is used for alleviating pain by relaxing the muscles. The valerian plant is indigenous to Europe and the northern regions of Asia and is extensively cultivated in the central as well as eastern regions of Europe. The valerian grows well in the nature in soggy situations. Valerian is propagated from seeds during spring and the root as well as rhizome is dug out or harvested during autumn. Usually, roots and rhizomes of two-year-old plants are harvested for therapeutic purposes. It does not require much effort to grow valerian plants that thrives well in any common garden soil. However, the plants have a preference for a very fertile heavy loam in damp conditions. Valerian plants are able to survive in places receiving total sunlight as well as those that have partial shade in forest areas. The valerian is a polymorphic (having several distinct forms) species and several botanist give particular status to the more extreme variants. Usually valerian is grown in herb gardens and occasionally cultivated commercially as a therapeutic herb. It needs to be mentioned here that when the plant (especially the root or rhizome) is being cultivated for therapeutic purposes, it should not be permitted to blossom. The blooms as well as the dehydrated roots of the valerian plant have a foul smell that reminds one of stale sweat. It is interesting to not that cats like this plant, especially its pulverized dried roots. When any cat discovers a valerian plant, the animal will endeavor to destroy it by continuously keeling over it. Another interesting fact about the valerian plant is that it also draws rats towards it and may be used as enticements in mouse traps. In addition, the valerian is considered to be a good cohort for majority of other plants. Valerian is an herb. Medicine is made from the root. Valerian is most commonly used for sleep disorders, especially the inability to sleep (insomnia). Valerian is frequently combined with hops, lemon balm, or other herbs that also cause drowsiness. Some people who are trying to withdraw from the use of “sleeping pills” use valerian to help them sleep after they have tapered the dose of the sleeping pill. There is some scientific evidence that valerian works for sleep disorders, although not all studies are positive. Valerian was also called the ‘all-heal' during the Middle Ages and was attributed with several features, especially therapeutic properties to heal epilepsy. It is said that valerian is useful in neutralizing excessive active mental conditions as well as excitement induced by nervousness and helps people to soothe their nerves. In fact, the herb is useful in just about all conditions associated with stress and generally brings about a soothing consequence on the mind. It, however, does not expressly function as a tranquilizer. Valerian is also used for conditions connected to anxiety and psychological stress including nervous asthma, hysterical states, excitability, fear of illness (hypochondria), headaches, migraine, and stomach upset. Valerian is also capable of alleviating a number of symptoms of nervousness, such as quivering, fear, tremor as well as perspiration. In addition, the valerian is an effective remedy for sleeplessness or insomnia induced by fretfulness or excessive stimulation. Valerian also loosens up excessively spasmodic muscles and is particularly beneficial for shoulder and neck stress, asthma, irritable bowel syndrome, muscle contractions, colic (paroxysmal pain in the abdomen or bowels) and even painful menstruation. Additionally, valerian is used in combination with other herbs to treat high blood pressure induced by tension and anxiety. Some people use valerian for depression, mild tremors, epilepsy, attention deficit-hyperactivity disorder (ADHD), and chronic fatigue syndrome (CFS). 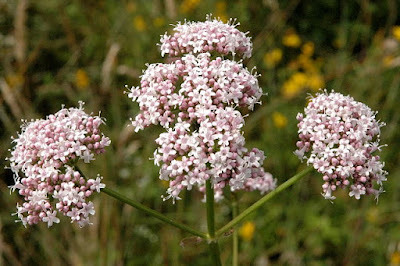 Valerian is used for muscle and joint pain. Some women use valerian for menstrual cramps and symptoms associated with menopause, including hot flashes and anxiety. Sometimes, valerian is added to bath water to help with restlessness and sleep disorders. Valerian can cause some side effects such as headache, excitability, uneasiness, and even insomnia in some people. A few people feel sluggish in the morning after taking valerian, especially at higher doses. It’s best not to drive or operate dangerous machinery after taking valerian. The long-term safety of valerian is unknown. To avoid possible side effects when discontinuing valerian after long-term use, it's best to reduce the dose slowly over a week or two before stopping completely. Pregnancy or breast-feeding: There isn’t enough information about the safety of valerian during pregnancy or breast-feeding. Stay on the safe side and avoid use.